TheraBox is a monthly subscription box “curated by practicing therapists to inspire happier lives. Each box incorporates one happiness boosting activity inspired by research in mindfulness, psychology, and neuroscience to rewire the brain for more joy and positivity” and also includes 4-6 natural and organic wellness products. The Cost: $34.99 a month + $4.99 US shipping. Save with 3, 6, and 12-month subscriptions. TheraBox includes an Ingredient List highlighting the “ingredients to happiness” included in each box. The inside of the pamphlet provides a description of each product, a link to the product’s website, the cost of the item and a coupon code if available. The outside of the pamphlet provides links to TheraBox social media sites, an FAQ and offers ways to get free boxes and bonus gifts. Reborn Moisturizing Serum contains organic herb-infused oils including hemp oil which I use frequently on my hair and scalp. Having dry and acne prone skin, I’m always skeptical of facial oils and worry that they will clog my pores and leave my skin greasy. This oil was surprisingly not greasy at all. I applied a small amount, it absorbed quickly into my skin, and left my face looking moisturized. My skin was not dry at all and I had no irritation. This was my favorite product of the box! The hydrating face wash contains simple ingredients: honey, apple cider vinegar, marula and geranium oils, and glycerin. Veise does a great job of describing the benefits of each ingredient in the wash. On initial application, it didn’t feel like a facial cleanser. It’s not sudsy and felt more like a facial treatment than a wash. Also, the ACV smell is strong! But, I stuck with it and when I rinsed my face, it was visibly brighter and felt so hydrated. I’m impressed and will continue to use this product! If you love soft and romantic floral scents, you’ll love this all-natural perfume. It contains ylang-ylang, one of my favorite essential oils to diffuse. Also, rose, jasmine and lavender. I enjoy floral scents in the air but find them too heavy to wear. I plan to use this perfume to spritz my sheets fresh out of the dryer or on my throw pillows and blankets. The Daily Dose of Self Care box contains 30 activity cards with various self-care activities. Most activities can be completed in less than 15 minutes. Some examples include practicing mindful eating, setting your intention for the day and showing appreciation to 3 people. I pulled the ‘unplug’ card that recommends disconnecting from social media for 24 hours. I’ll start with 1 hour! These cards are a great way to incorporate self-care into your daily routine. There are a few things I love about this lavender satin eye mask. First and most importantly, it’s large enough to completely block out any light. Second, it’s filled with dried lavender, so it smells fantastic. It also ties in the back so you can adjust it to your preferred comfort level with no worries about it being too tight or too loose. And finally, the back of the mask has a soft velvet-like texture. This mask is perfect for rest and relaxation. This is my first introduction to aromatherapy inhalers. The Meadow Sense Breathe Well inhaler contains a fresh blend of essential oils including sweet orange, eucalyptus, and tea tree oils. It smells great, but it feels awkward to use. I can’t imagine pulling the bright purple casing from my purse, putting it to my nose and inhaling deeply in public. I can only imagine the looks on my co-workers’ face! I’ll reserve this pretty case and uplifting scent for at-home use. Be Loved whipped body butter has all the ingredients for a really good butter with various types of butter and oils. It’s lightly fragranced with the sandalwood scent being the most pronounced. I found that the butter easily melts but doesn’t spread very far. I’d need to use a lot of it if applying head to toe. Unfortunately, the portion size is very small and the jar was only half full. I’ll leave this on my desk and use it as a hand cream. Inhaling the fresh scent of the butter while taking a few deep breaths could be an easy way to relax in between meetings. This Korean healing mask has a huge following! Based on the popularity of the mask, Package is considering launching a Don’t Worry cleanser and moisturizer. The mask claims to calm and soothe irritated skin and reduce redness. It’s sensitive skin friendly with no alcohol, parabens or fragrances. I can’t wait to try it! The Verdict: I enjoyed this box. It contained a variety of full-size products perfect for relaxing and unwinding. My favorite products are the face wash and eye mask. I’ll look to the self-care cards for inspiration on ways to get a daily dose of self-care. This month’s estimated value is $138.48 making this box a real deal considering the $39.98 price ($34.99 + $4.99 shipping). Can you still get this box if you sign up today? No, the August box sold out. If you subscribe today, your first box regular box will be the October box. Value Breakdown: The box cost $34.99 + $4.99 shipping (US), which means that each of the 8 beauty and wellness items in the box has an average cost of $5. 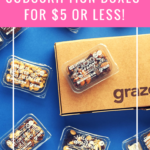 Check out all of our TheraBox reviews and the Lifestyle Subscription Box Directory! What do you think of the August TheraBox? It seems I’m in the minority, but I have to say it’s disappointing to me to find so many skincare products in therabox lately. 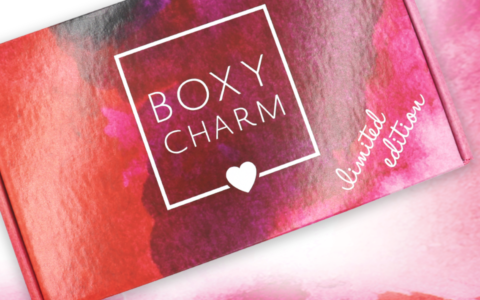 There are so many beauty and skin care products in boxes, as well as whole boxes devoted to them (even the natural kind), it just feels redundant that a mental health focused box has also jumped on that (too easy) train. You aren’t in the minority! I emailed them about the body butter. They said it should not have been half empty. They apologized and contacted the vendor to send another one out. They are always super nice and helpful. Oh good, April! I was really wondering about that and thought how odd it was to have so little product in the jar. I’m glad they addressed the issue. This box is consistently amazing! Great products and new spins on products you always use (face wash; masks). I love that oil and sleep mask. So luxurious and relaxing. Also, this box sells out every month. My Sept. box has already shipped out (they ship out on the 26th of the month). You might want to double check that any are left. You are right! August and September boxes are now all sold out. They are taking ore-orders for the October box. Let me see if I can get the review updated. Great review! Bummer it’s sold out. I’ve had my eye on this box for a while and I might have considered this one. I may go ahead and check out that face wash and sheet mask though. My skin responds well to honey products, so the cleanser sounds up my alley. Thank you! Definitely try the face wash. It was my favorite product in the box! Also, TheraBox should be rolling out spoilers for next month’s box on IG if you want to get an early peek! That serum has calendula oil (Marigold) which is great for acne. I mash the flowers and make spot treatment paste when i get a breakout. Bummer the body butter was so small and half empty, the jar was so cute. That’s good to know! Thanks for the tip Jessi! Yes, a bit of a bummer about the body butter but it did smell great and has great ingredients.